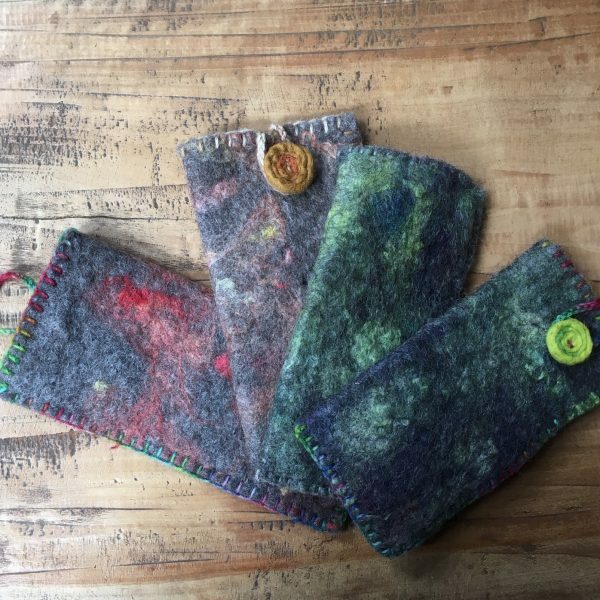 These handfelted cases offer ideal protection for your phone or glasses/sunglasses. Available in sizes narrow (approx. 10cm wide or less) or wide (between 10 -12 cm wide). 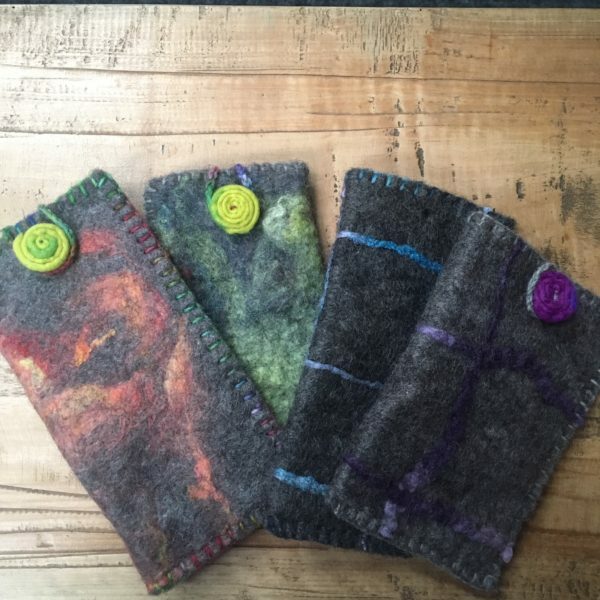 These cases have a easy to open clasp to ensure your item can’t fall out. 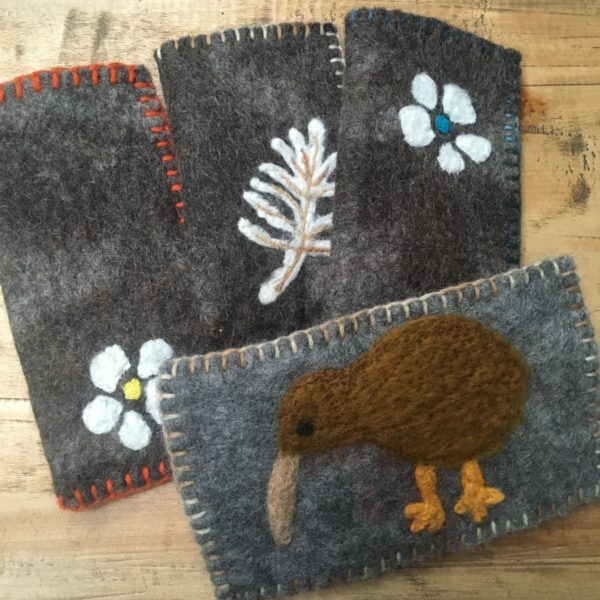 Choose from needle felted design (photo 1 in gallery) or a wet felted design (photo 2 in gallery).